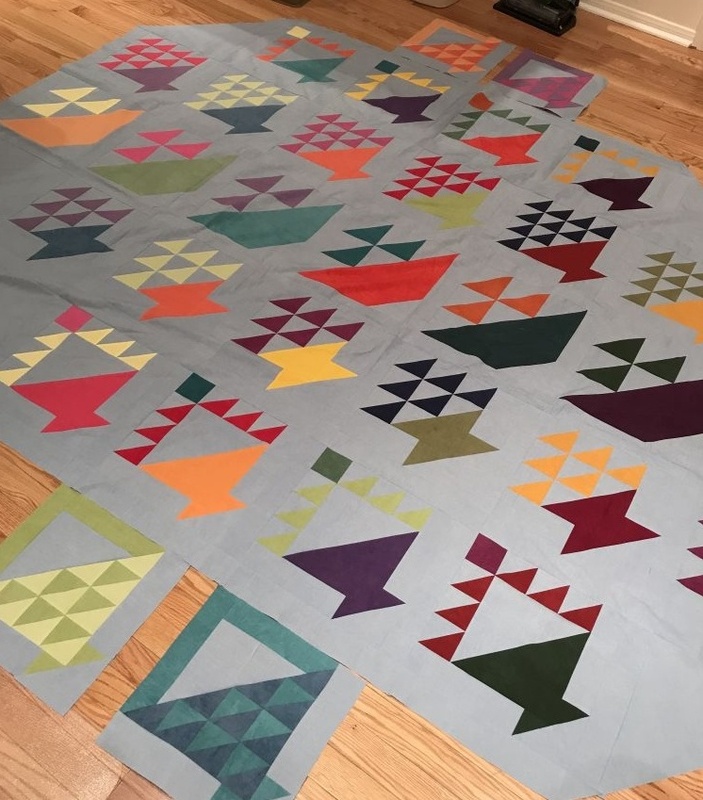 I’ve been waiting to share this new version of my GATHERINGS quilt design for a long time but there was a delay in the quilting process. Sometimes, life happens and it is completely out of our control and also totally understandable. The quilt arrived yesterday, beautifully quilted in an all-over design by Carolyn Archer of Ohio Star Quilting. It turned out beautifully. I hadn’t seen the completed top for almost nine months. It was like welcoming home an old friend. GATHERINGS was the 2017 six-part series quilt featured in American Quilter Magazine. You can read about it HERE. It features beautiful, traditional-style, pieced basket blocks set in a modern arrangement on-point. The basket blocks themselves are fun to piece and setting the rows together was really a breeze! 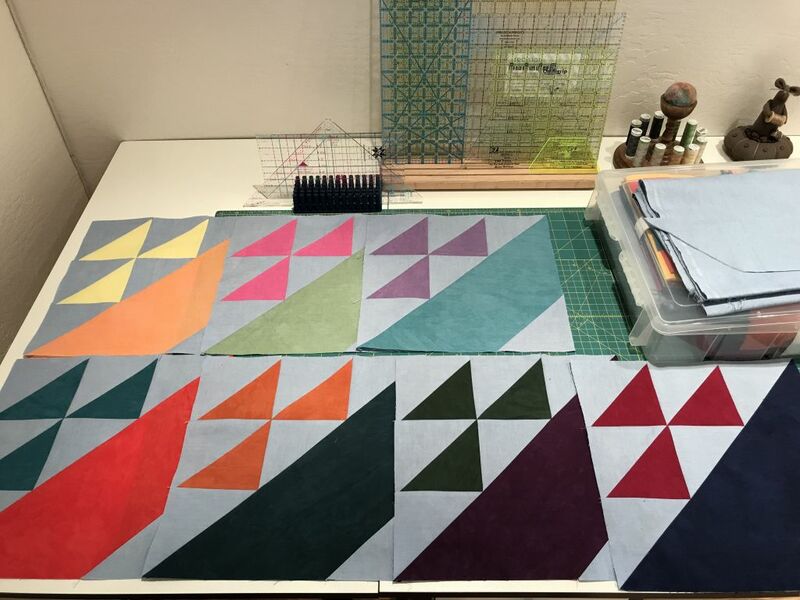 If you happen to own an Accuquilt GO cutter or have a friend who has one, most of the pieces to make these blocks can be cut using common-size dies. 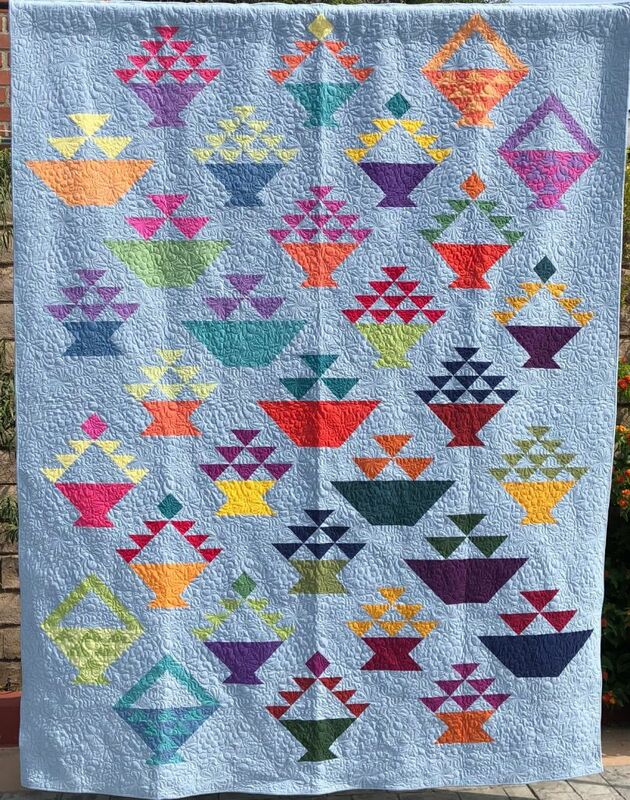 Click HERE (and scroll down the page) to get the list of dies needed to make this quilt. The GATHERINGS quilt pattern is now available as a FREE pattern download on my website. Simply click HERE to download the first five (of six) sets of instructions to make the blocks and the quilt. You can make the quilt in two sizes: double or queen/king size. 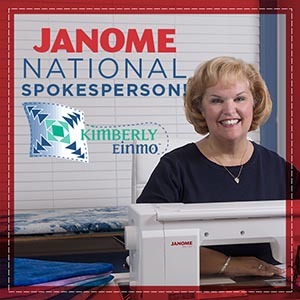 After making a quilt in both sizes for the magazine, I decided to make another quilt in real time as each installment of the magazine was published. I made my blocks along with other GATHERINGS quilters on my Facebook group page called GATHERINGS, AQ Magazine. And it’s not too late to join the group: simply click HERE! The three groups of fat quarters of Cherrywood fabrics I selected included bundles of lights, mediums and darks. 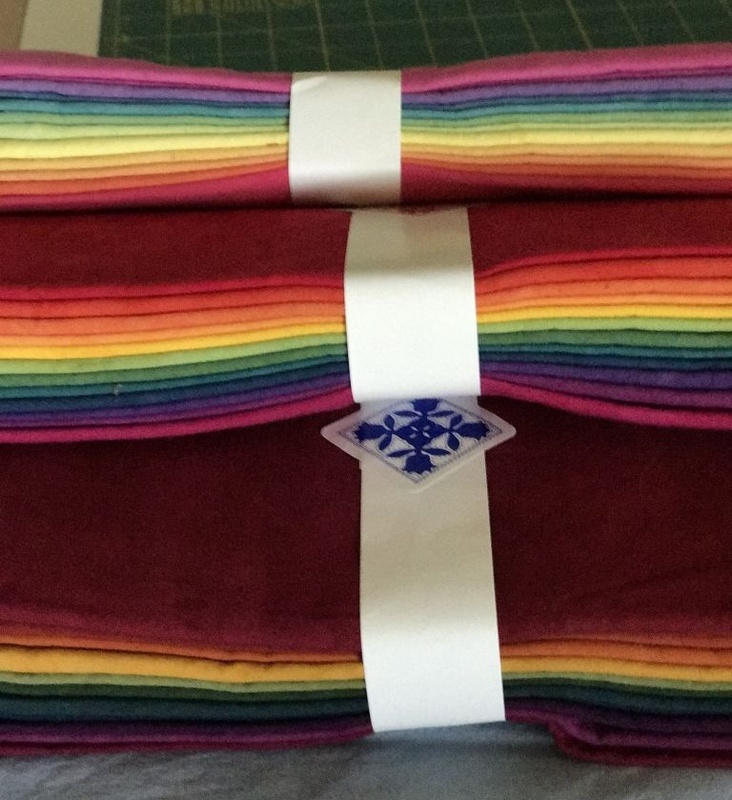 For my third version of this quilt, I selected 3 Cherrywood fabric fat quarter bundles (which are no longer listed by values on their website, sorry.) I also selected a muted, soft slate blue Cherrywood fabric in yardage as my background fabric. For more information about Cherrywood fabrics, click HERE. I used Electric Quilt software to plan the placement of the fabric values in my quilt. I narrowed my choices down to two versions. The actual block layout is the same in both versions but the position of the values is different. Ultimately, I selected this version for the placement of the values in my quilt. It seemed more challenging and yet pleasing to the viewer’s eye. This is the version of the value placement I chose for my third GATHERINGS quilt. I had such fun working with the fabrics and different values to make the blocks. It challenged me to keep the blocks laid out according to my plan for the rows each month. 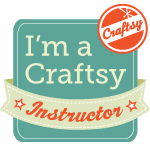 I enjoyed sharing my progress on the Facebook page with other quilters as they joined me in making their pretty blocks! Introducing the final version of my latest GATHERINGS quilt! Notice the gradual change of values across the surface? The blocks are lighter in the upper left corner. They are brighter toward the middle section and finally tone to darker and deeper hues on the bottom right side of the quilt! Subtle, yet effective. I’m pleased with the final results and my experiment in value placement. Having just been taken out of the box, there are a few unfortunate fold lines still visible especially in the bright, morning sunshine. 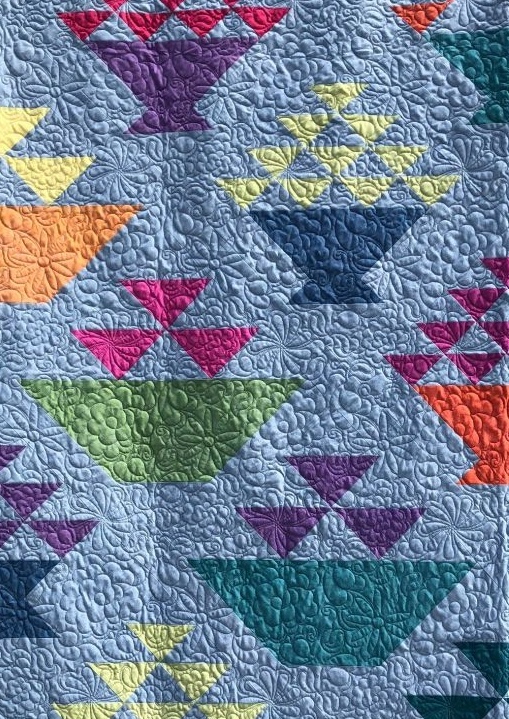 Close-up of the all-over quilting design. If you’re following along with my blog posts about my studio progress, I hope to post the final reveal next week. Stay tuned! Outstanding! Love-love-love at first sight. Thank you for the free pattern of Gatherings!! When I went to download them, Lessons 1 through 4 downloaded; however, Lesson 5 does not. Mindy, try it now. Everything seems to be working just fine on the website; Parts 1 – 5! So beautiful! What a work of art! Did you follow your directions that were in AQ , if so there were multiple errors, one was a half inch on a half square triangles? It was a disappointing series when one couldn’t depend on correct measurements. Ann, I’m so sorry for your disappointment. To my knowledge, the only mistake in this pattern was originally printed in the magazine in Part 3 of the series; I quickly caught the error and AQS printed the correction. 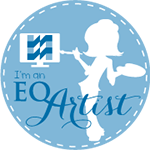 This correction was posted on social media, the AQS website, and my website. 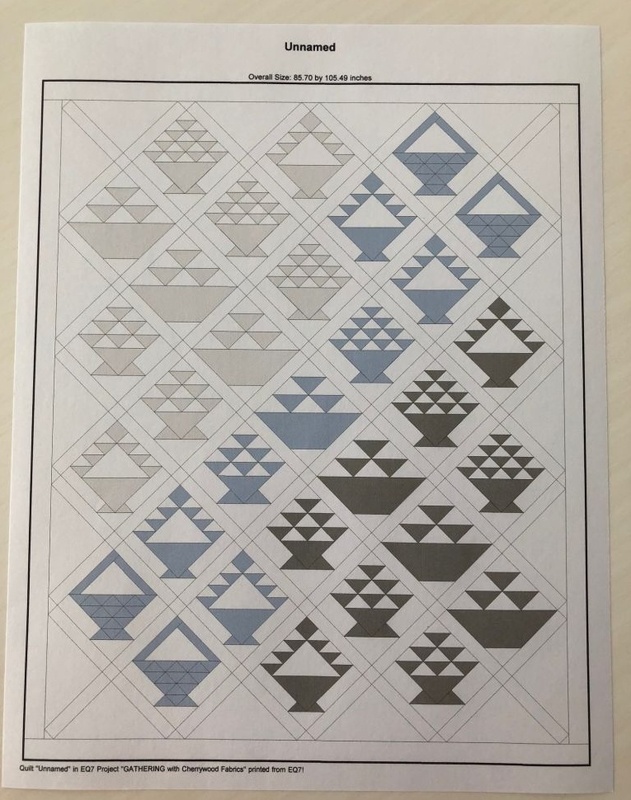 To date, no other errors have been reported and I made the quilt a third time — using the instructions as printed in the magazine in “real time” to ensure there were no more errors. 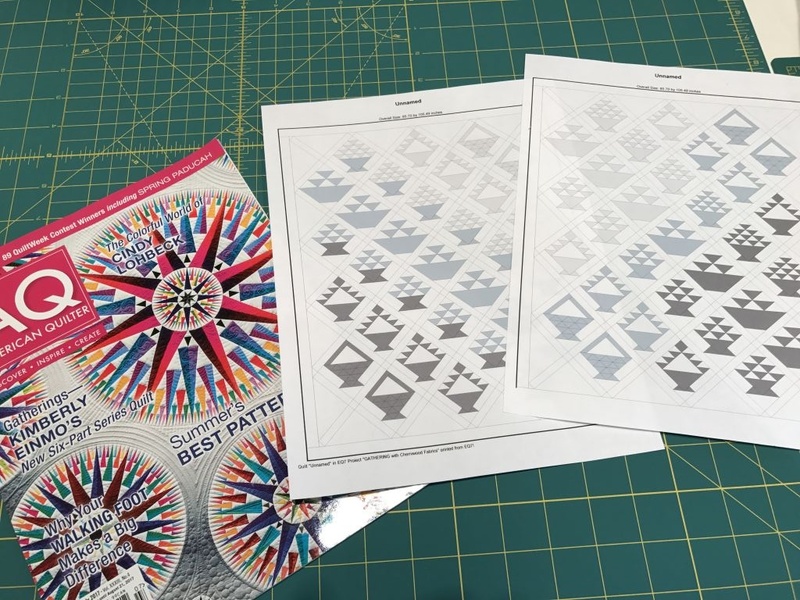 Again, I apologize that AQS printed an earlier version of the pattern in the magazine instead of the correct version for part 3, but all the other installations of the series are correct. Thank you for this beautiful quilt. 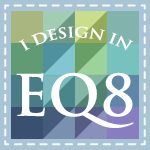 I,m going to join your Facebook group to learn more about your beautiful Quilts and designs. Is there a Part 6 to the Gatherings quilt? Neat to see it in the cherrywood fabric options, but I’m still a fan of the soft colors in the original version. Hi Barbara – Yes, there will be a part 6 to the Gatherings quilt. It will be available six months after the release of part 6 in the magazine, which will be on November 1st.